Бойцы отряда XCOM воют с пришельцами, теперь вы играете от третьего лица. Разработчики обещают экшен с активной тактической паузой, думаю игра будет высший класс! The Bureau: XCOM Declassified Region Free 32 р. The Bureau XCOM Declassified - STEAM Key - ROW / free 33 р. The Bureau: XCOM Declassified (STEAM KEY / ROW)+BONUS 39 р. The Bureau: XCOM Declassified STEAM KEY REGION FREE 39 р. The Bureau: XCOM Declassified: DLC Codebreakers (Steam) 45 р. The Bureau XCOM Declassified (Steam Key / Region Free) 45 р. The Bureau: XCOM Declassified (STEAM KEY / ROW) 49 р. The Bureau: XCOM Declassified 50 р. The Bureau: XCOM Declassified (Steam Key / Region Free) 59 р. The Bureau: XCOM Declassified (steam link Free ROW) 60 р. The Bureau: XCOM Declassified (Steam key) 90 р. The Bureau: XCOM Declassified (Steam Key / Region Free) 93 р. The Bureau: XCOM Declassified (Steam Key/Region Free) 94 р. The Bureau XCOM Declassified - STEAM Key region GLOBAL 99 р. The Bureau: XCOM Declassified Steam Key Region Free 99 р. The Bureau: XCOM Declassified (STEAM GIFT / ROW) 99 р. The Bureau: XCOM Declassified (Steam Key, Region Free) 110 р.
КОД | STEAM | The Bureau Xcom Declassified 114 р. 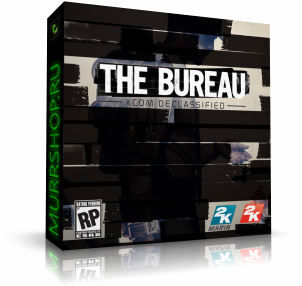 The Bureau: XCOM Declassified Steam Gift RU/CIS 120 р. The Bureau: XCOM Declassified (Steam | Region Free) 129 р. The Bureau XCOM Declassified - Steam Region Free 149 р. The Bureau: XCOM Declassified (Steam | Photo) + Скидки 149 р. The Bureau: XCOM Declassified 159 р. The Bureau: XCOM Declassified SS 195 р. The Bureau: XCOM Declassified ( steam key RU+ CIS ) 222 р. The Bureau: XCOM Declassified - Steam region free 222 р. The Bureau: XCOM Declassified (Ключ активации в Steam) 245 р.
XCOM: Enemy Unknown + The Bureau: XCOM Declassified ROW 245 р. The Bureau: XCOM Declassified (Steam, HB-link, ROW) 280 р. The Bureau: XCOM Declassified (Steam Gift/Reg Free) 297 р. The Bureau: XCOM Declassified (steam key) 299 р. The Bureau: XCOM Declassified 299 р.
XCOM: Enemy Unknown + The Bureau: XCOM Declassified ROW 299 р.
XCOM: Enemy Unknown + The Bureau: XCOM Declassified ROW 335 р. The Bureau: XCOM Declassified (Steam) +ПОДАРОК +СКИДКИ 350 р. The Bureau: XCOM Declassified (Steam KEY) + ПОДАРОК 373 р. THE BUREAU: XCOM DECLASSIFIED - STEAM - 1C + ПОДАРОК 449 р. The Bureau XCOM Declassified +ПОДАРОК 499 р. The Bureau: XCOM Declassified +DLC +ПОДАРОК +СКИДКИ 559 р. The Bureau: XCOM Declassified +SpecOPS +XCOM +DLC 600 р. The Bureau XCOM Declassified (Steam region free; ROW) 647 р. The Bureau XCOM Declassified (steam key) -- RU 845 р. The Bureau: XCOM Declassified (Steam Gift | RU) 850 р. The Bureau XCOM Declassified - STEAM Gift pre-purchase 899 р.